I've recreated the intro screen from the game. Probably one of the best openings to a game on the NES. 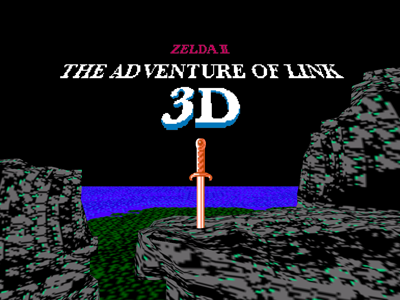 I'm still trying to figure out what sort of tricks I could do now that the scene is 3D. 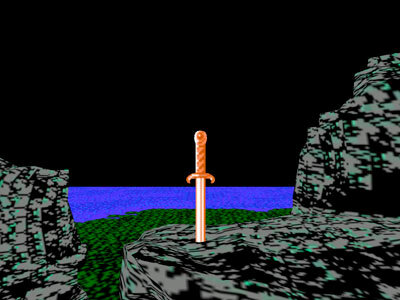 I experimented with letting the player walk around on the cliff and pick up the sword. But I don't think I'll have that in the final game. If I do it'll be an ester egg. hint, hint. I could very rarely hit the skeletons, i duck and swing and i hear a clink noise. I did this for like 10 minutes and I only got 2 real hits where the skeleton flies backwards. I had a similar problem with the armored guys but I did spend as much time with them since they hit me a lot more often. when i went into the forest the spiders scared me! Anyway to set the Jump key [space] to the right mouse button? I'm using Chrome on a Mac, and I can't seem to make this game work. It says I don't have Unity installed, but I do! Coolest remake ever!! haha but um... Why can't I save my progress?? Find here the immense collection of online games which is available for free. One more useful website to learn tally..